I did have an interesting moment on this flight. Right after departure my primary yoke went inoperative (probably because I accidentally unplugged it or its USB cable). This happened just as I was off the runway. 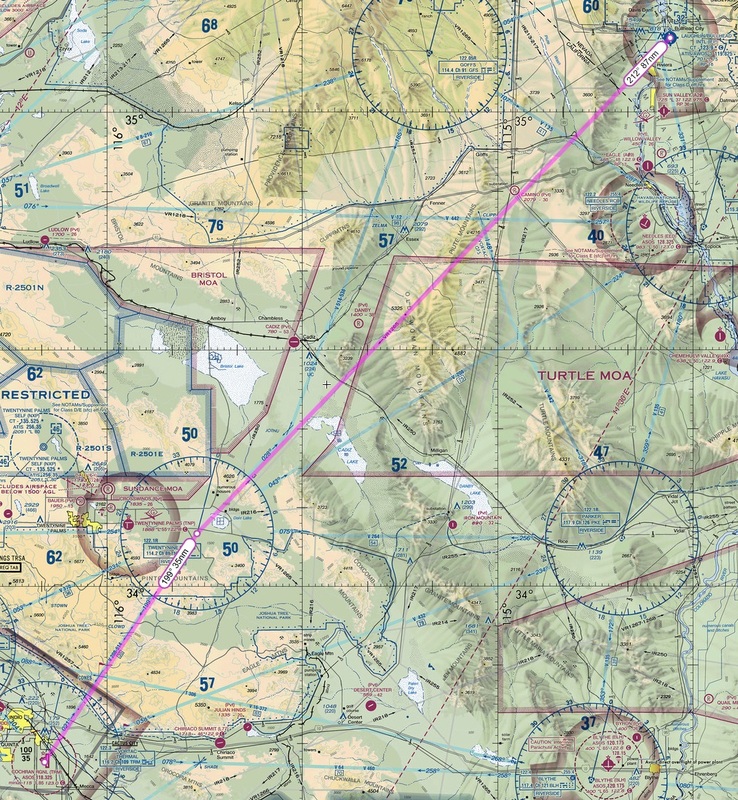 As I was trying to get it sorted, and still flying the airplane with the other yoke, Bullhead tower asked me to switch to LA Center. I couldn’t respond, as the push-to-talk switch is on the primary yoke. He called four times, with no response. So as I was trying to fly the airplane, unplug the yoke, plug in the yoke, close down SPAD.neXt, and re-launch SPAD.neXt, I also squawked 7600 for lost communications and made the turn he expected me to make out of departure. In a few minutes I had it sorted and regained communication, but if I hadn’t I would have run the lost comms procedure and then flown to an uncontrolled airport to make a cautions pattern entry and landing. Here’s the Alpha Challenge progress to date. 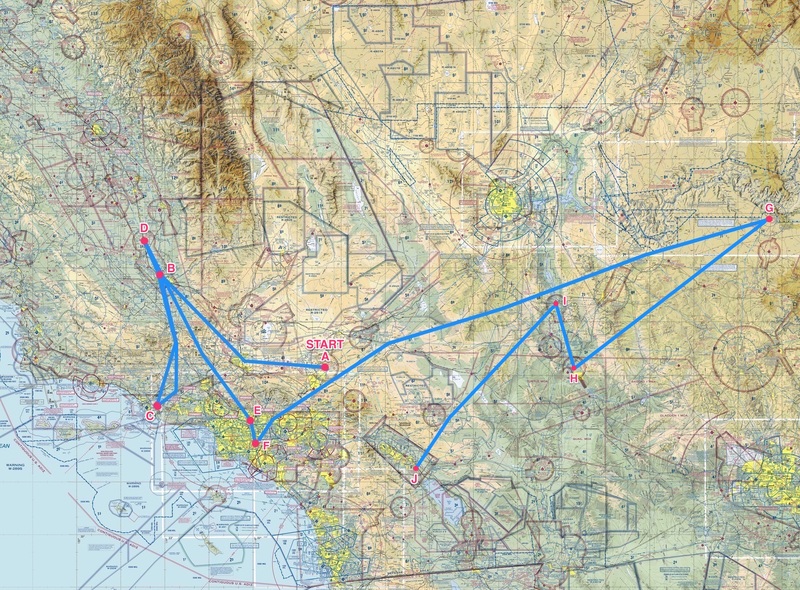 The next flight is “J” to “K,” which is one of the longer flights in the challenge, Jacqueline Cochran to Kanab.